So you don't have an official USGA Handicap Index, but you'd like to know what yours would be if you did have one. Maybe you're just curious to know what your handicap is. Perhaps you need a handicap (or at least an estimate of one) to play in a group outing, charity tournament or corporate golf event. 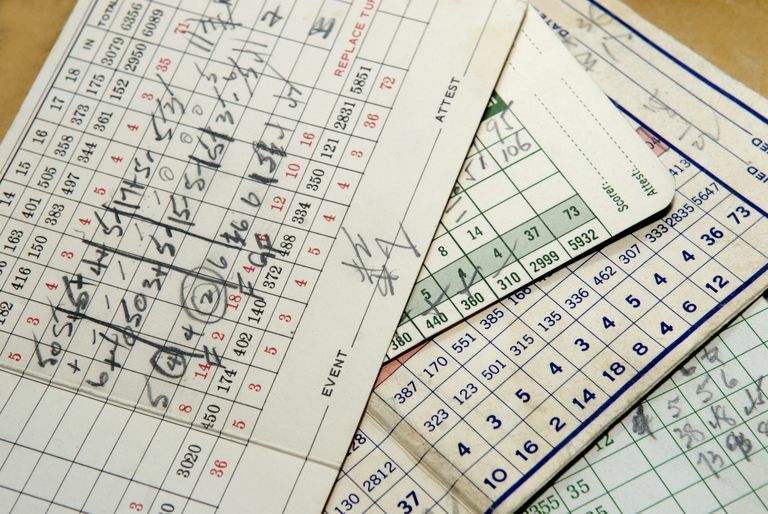 We'll point you to golf handicap calculators that you can use to run the numbers. There are a few websites out there that provide a simple interface for determining your unofficial handicap index. To use them, you'll need at least five, 18-hole golf scores (and, at most, 20) plus the USGA Course Rating and USGA Slope Rating of the golf courses where you played those rounds. The preceding calculators are one-time use items; that is, they don't store any info and you can't update your numbers over time. But if you want to do that, there are options. GolfDigest.com lets golfers register for a free handicap tracking service, using its own formula created by Dean Knuth. As the site states, "Golf Digest Handicap is not meant as a competitor or substitute to an official USGA handicap, but as a solution for those golfers who wouldn¹t otherwise have access to one." SkyGolf 360 also allows golfers to create an account for score and handicap tracking. Want to track a golf handicap and other golf stats on your smartphone or another mobile device? There's an app for that. In fact, there are dozens and dozens of golf apps out there—some of them free, many of them downloadable for a small fee—that will track an unofficial handicap for you. Depending on your device, visit the iTunes App Store or Google Play for Android and search for "golf handicap," "golf handicap tracker," "golf stats tracker," and similar keywords. Pay attention to customer ratings as well as prices. You can think of these as "handicapping the unhandicapped" options. If a tournament wants to hand out prizes based on net scores, but many of the golfers playing don't have official handicaps, the tournament organizers can use one of these methods to generate a net score. Of course, you can always dispense with the need for alternative systems and unofficial approximations of handicaps by getting a real, official handicap index. Once you have an official USGA Handicap Index, for example, you can then use the GHIN network, which includes both a website and a mobile app, to track your handicap. A course handicap calculator is also useful for converting a handicap index into a course handicap.